The Norwegian government says it is taking “very seriously” evidence that the Democratic Republic of Congo is issuing new logging licenses after agreeing a $200million initiative to prevent deforestation. The news comes despite a moratorium on new logging licences being in place in the country since 2002. 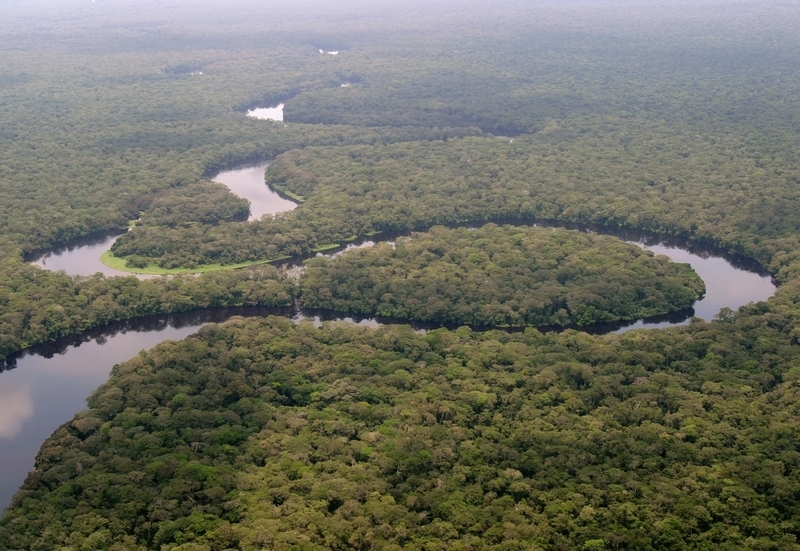 The Central African Forest Initiative (CAFI) aims to limit deforestation in the world’s second largest rainforest, the Congo Basin. The deal is also backed by the UK, France, Germany, the Netherlands and the European Union – with Norway providing the vast majority of the funding. Yet materials seen by Unearthed suggest that the country’s former environment minister Robert Bopolo Mbongeza signed documents pledging logging concessions in northern Congo to two companies. News of the deal has sparked controversy. Speaking to Voice of America, DRC’s new environment minister, Atis Kabongo Kalonji pledged to cancel the concessions. A senior official in the DRC environment ministry told Unearthed that the Kabongo has said he will be a “defender of forests”. He said the minister had already moved to cancel the licenses and vowed to not grant new any new logging concessions. The Norwegian government provided $190m of the funding for the CAFI deal, with the UK backing the agreement but providing no direct funding. Responding to the story, Lars Andreas Lunde, the state secretary of Norway’s climate and environment ministry said his government was taking the revelations “very seriously”. “We are working with and through the secretariat of the Central African Forest Initiative to resolve this situation with DRC authorities,” he said. Two documents dated 15th September 2016 and signed by the former environment minister, award vast logging concessions in northern Congo, totalling 629 and 924 square miles, respectively. Around 45% of the DRC is covered by tropical rainforest, but efforts to protect the environment have been hampered by poor governance, high poverty rates and conflict emanating over its vast mineral resources. Back in March last year, Bopolo mooted the idea of lifting the logging moratorium in DRC, but backed away after pressure from NGOs. The Congo Basin covers five countries from west to central Africa and has been relatively untouched for years, but the region has recently become a target for palm oil companies and industrial logging.